The only issue any resident of the City of Mandeville should care about when voting this election cycle, is Port Marigny. Why, you might ask? The answer is simple – this monstrous, high-density city within our city, will alter all our way of life – FOREVER! There is no turning back once we allow this! And if you are following closely – you will see that the planning of the future of St. Tammany, is to shove as many of these high density developments as possible into our already crowded schools and traffic messes. So whether you live West of Causeway Approach or North of Florida Street – you should be concerned. “New Urbanism” is what we are being sold on here – communities that allow you to walk and limit your use of your car. In a true “City” like New York, with tons of public transportation, one can live without a car so it is not a bad idea. However, Mandeville is not that place. The City of Mandeville passed a land use regulation (the CLURO). The Pittmans, their architect and their lawyer – do not live in Mandeville! The higher the density of their development, the more money they will make and it can be assumed, that is their priority! As it stands, the owners are trying to shove 429 units (190 of those – apartments) into 78 acres, a 120 room hotel, 60,000 square feet of retail, 11,000 square feet for 2 restaurants and 150 boat slips. 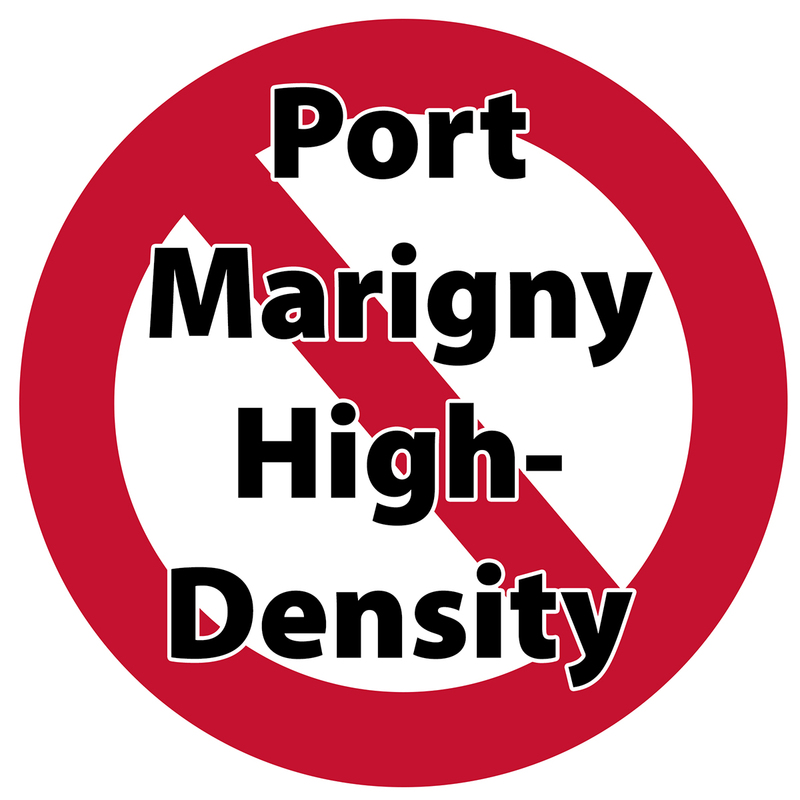 If you calculate based on the CLURO and the Port Marigny Plan – only 181 units are required on the 45 residential acres being developed. No apartments are necessary and there is no need for all that commercial space – soon to become a ghost town like the commercial development in Mariner’s Village! The current council will likely not vote on this issue as it has not even got out of the P&Z yet. There could possibly be a lame-duck vote, but likely it will be our newly elected officials. There is a Development Agreement that will presented soon – but that will likely have the max proposed density that is ridiculously too large. And don’t fall for the, “we could use the revenue generated from this,” trap! Voting is business and not personal, especially when it comes to the “current” small town atmosphere. I’ve had many conversations with the current elected officials as well as many of those who are running in the current election. All of them will tell me to my face, that they are not “for” it at this density. But, what does that really mean? Since I’m not a mind-reader, I can only go on what I know and my gut…. Council-At Large: If I had to vote for just one – Laure’ Sica would have my vote. She is smart, well-read (CLURO etc… & even met with the Pittmans to understand more), truly cares about her community and is a good listener. She has been accessible and we have spoken in great detail on more than one occasion (I did not know her before). I know she will do an outstanding job. Clay Madden will also get my vote as I believe he cares about the city where he will raise his young children and also has a big heart. District II: Mike Pulaski came out the gate as a proponent for this development and after we met, and he started reading and talking to people outside his neighborhood – he has proven to me he has the best interest of the community at heart. He has been extremely accessible and I think he will do a great job. His opponent, Melinda Crawford, seems like she will do her best and has the best interest of the community as well, but we have yet to meet. My gut tells me that he is the stronger candidate. District III: I do not vote in this district, but am 100% behind Ernest Burguieres. He has been accessible and informative to me as someone out of his district. He is a true watchdog of the people and the guy you want on your team!!! District I: I don’t know what to think on this race. David recused himself from voting on Port Marigny and Jerry came out “for it” during the Alliance for Good Government, but I have never spoken to him personally about it. Both nice guys to me, but would have to talk to them both more to make a call. Mayor: Tough one and I’m still truly undecided. Personally, I like them both. They both have met with me and have been accessible regarding my concerns over the years. I think I need to have a couple of more conversations and see who speaks out publicly against the high density, or I may wait until the election day to make up my mind. Steve Oubre publically denied being involved in the writing of the Cluro. A good journalist would not make such a claim without a source. But, then again, it seems good journalism is not what you are going for. I’m not a journalist -but a blogger. I edited that immediately to reflect that I was unsure- and you caught me during the edit. Thanks for keeping me in line:) I never heard him deny it. Spot on Greta. Ask Ernest to forward my e-mail opinions regarding Port Marigny. I am a Mariner’s Village landowner and very familiar with the naïve or dishonest sell-job made to the City in the 1970’s. Also, I am more than familiar with the negative affects of low Oil & Gas prices on the financial abilities for these developers to deliver on these naïve dreams. Anyway, keep up the pressure. I too do not know where Rick or Donald really stand, but am leaning towards Rick. I can only hope that Mike P. sees the similarities of Port Marigny with those of the gross failures in Mariner’s. I am leaning toward Clay and Laure’ for at large. Ernest has fought for all of us in Dist. 3 and will continue. David is a better choice in Dist. 1. The biggest problem with Port Marigny is access. Urbanism requires more than one entry point. An urban environment has multiple access points in all directions. Port Marigny has a choke point and the traffic will effectively cage the rest of Old Mandeville within its neighborhood every morning between 7:00 and 7:30. I would love for us to have a nice hotel on the water with some shopping. That’s about all that property can withstand. It seems most residents, who are not well-informed on the process, have the vision of a few little shops and restaurants by the water. I don’t think any of us would be in opposition to that. However, that is not what we are getting with the Port Marigny plan or even the CLURO. We get residential and commercial mixed. I think we are at the junction where we either make some noise and get the density of residential and commercial down to the lowest possible number, have a well-vetted development agreement through special committees and the counsel, AND the results from an independent traffic study and/or the Parish study, to decide if moving forward is even feasible. In a perfect world – the CLURO would be abolished! I think you should call John Keller before you dismiss him for District 3. Hear what he has to say as someone who grew up here, understands the Mariners Village development, and has walked Mandeville District 3 to hear from as many residents as possible about these issues. He’s smart, level headed, and passionate about the old charm of Mandeville. I did not dismiss, nor do I vote in that district. Great. I have followed along and know that your blog is very popular. In addition you are well respected. I also know you have talked to some of the candidates and just hope you are able to meet up with him before the election. Thanks for keeping readers like me up to date.